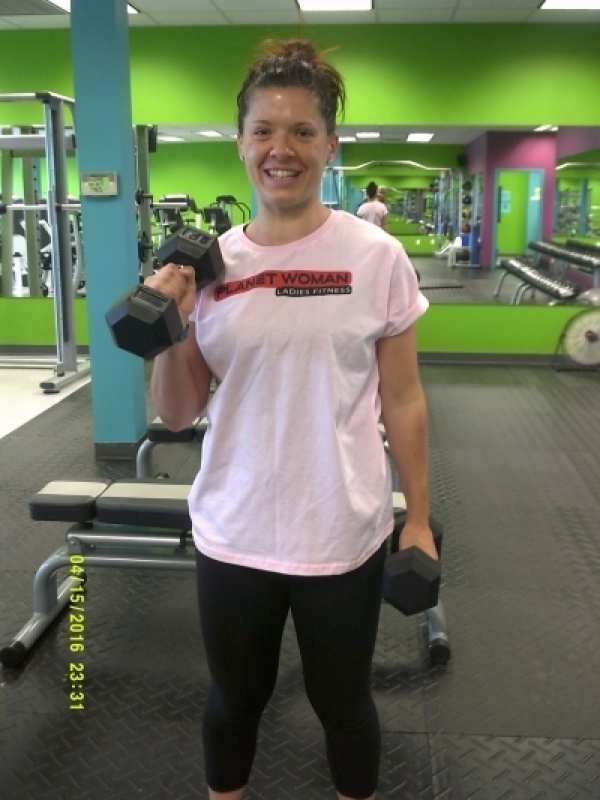 Planet Woman Ladies Fitness is all about helping your workout at our many 24 hour gyms an efficient and powerful one! If you have a gym membership to one of our locations in Kamloops or Merritt you're guaranteed to improve your health and fitness levels with help from our great on staff trainers. There are two major muscle groups that make up your upper arms. There is the Biceps Brachii/Brachialis (front) and the Tricep Brachii (back). 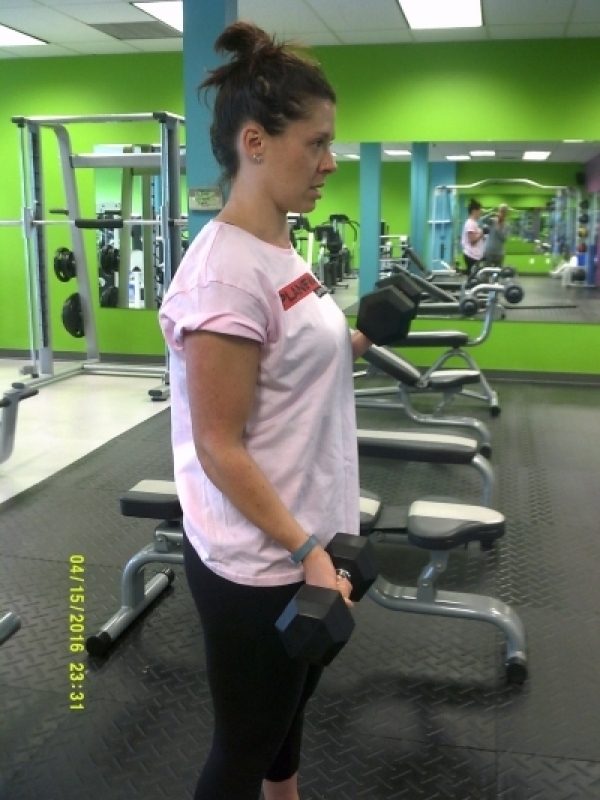 The main exercise for the Bicep muscle group is the bicep curl – with many variations such as the hammer curl. The main exercise for the tricep muscle group is the tricep extension which can also have variations. 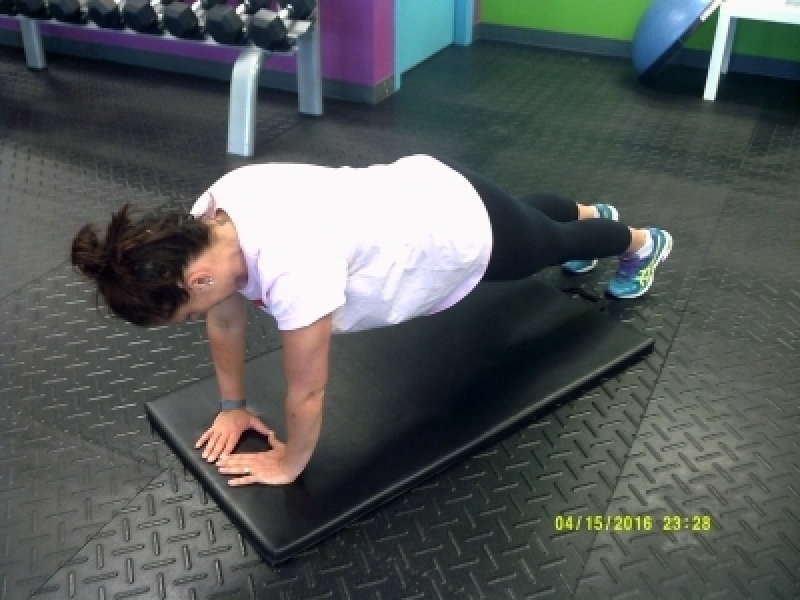 The Push Up – this is the best exercise to build strength in your arms. Start in plank position (flat back, feet hip distance apart, shoulders/arms/elbows in a line – shoulder distance apart). 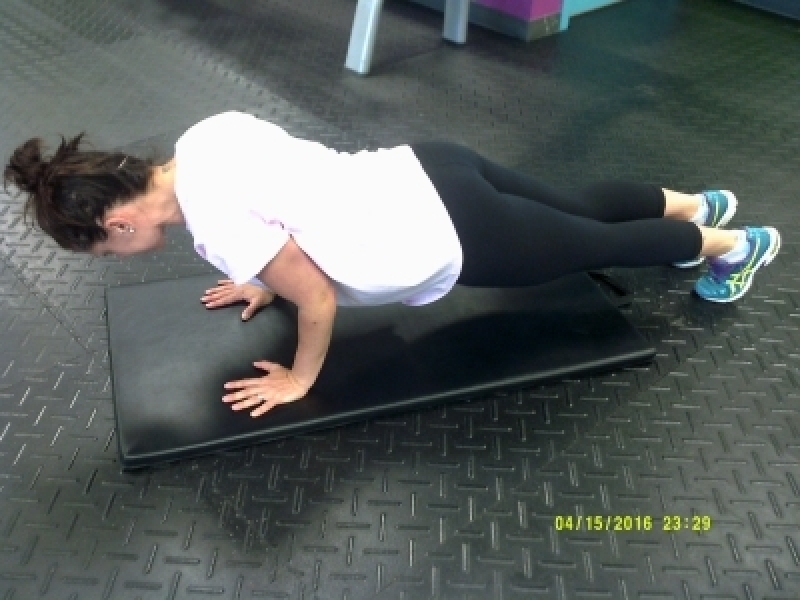 Lower yourself down until your arms are at 90 degrees and push yourself back up – that is one push up. Diamond push up – start in the same position but place your hands close together on the mat so your pointer fingers and thumbs make a diamond shape right under your sternum (chest). 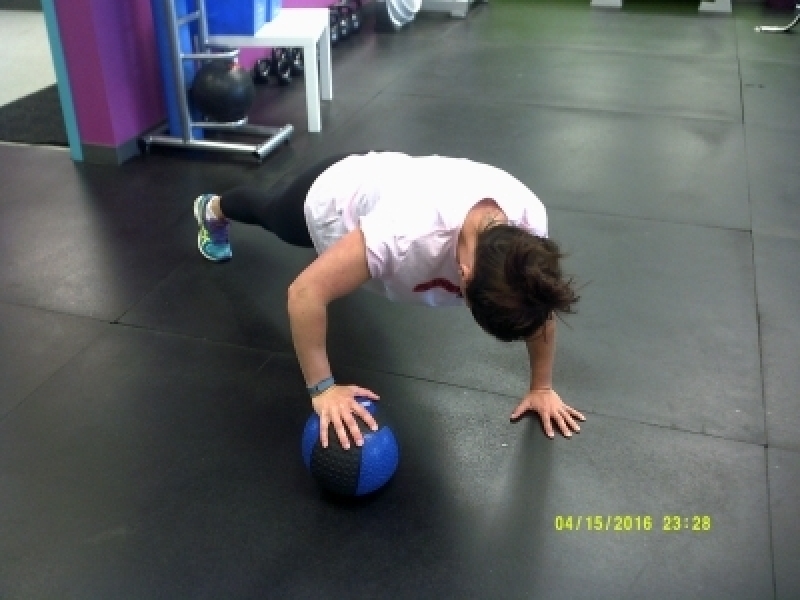 Medicine ball push up – start in the same position as a standard push up but place a medicine ball under one of your hands. 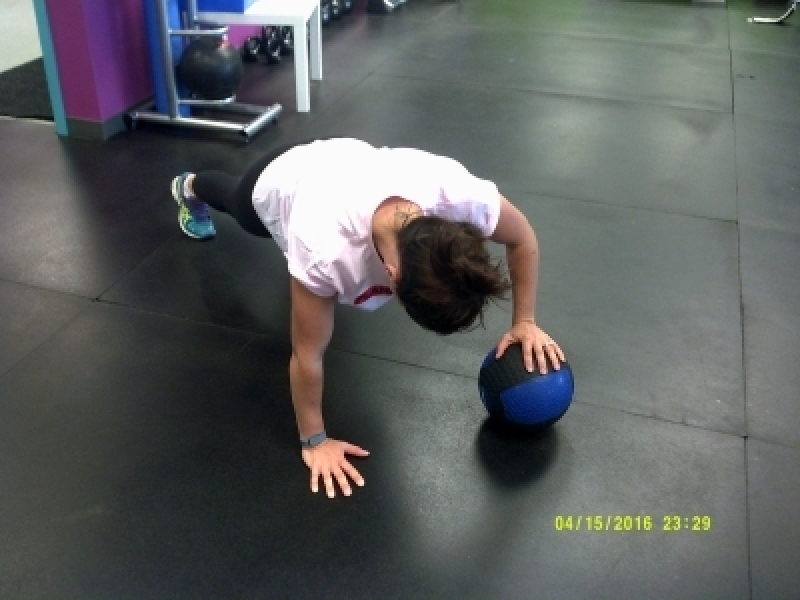 Push up using the ball, switch the ball over to the other hand and continue. Tricep push up – place hand right under your shoulders, close to your body rather than out (like cobra yoga pose). Keep your back flat and feet hip distance apart. Slowly lower yourself down and push back up. You should feel like in the back of your arms. The Bicep Curl – best way to isolate and target your bicep muscle group. Do 3 sets of 10-12 reps. Pick a weight that allows you to keep your form but is heavy enough that you can feel your muscles working to control the movement. DO NOT LOCK YOUR ELBOWS! 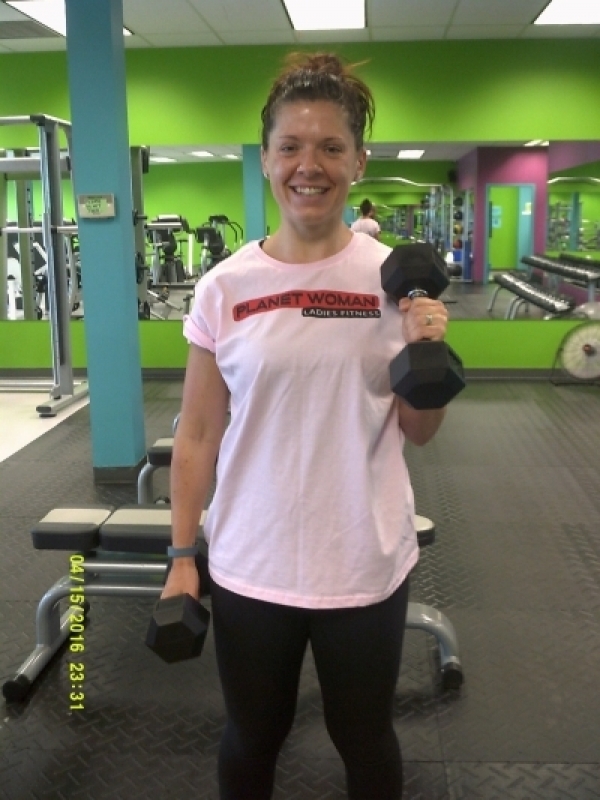 Start with two dumbbells – one in each hand, palms facing outward in front of your hips. 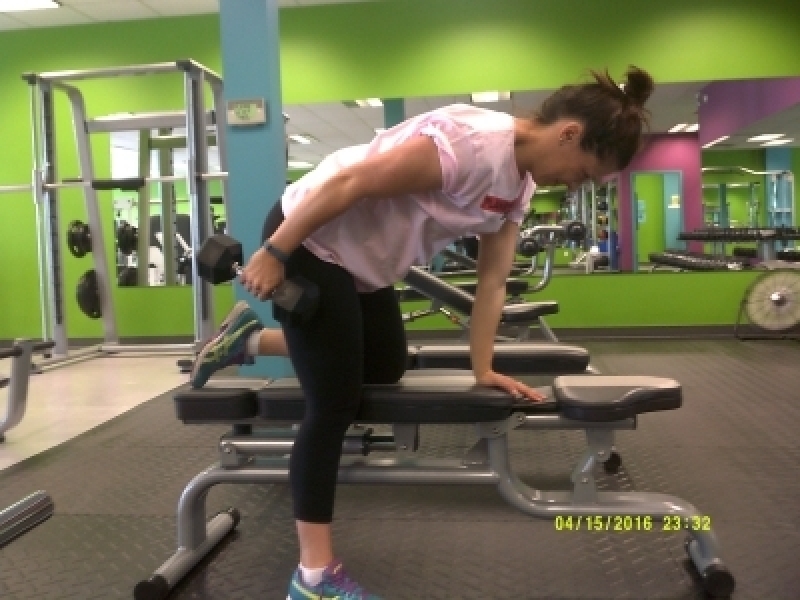 Curl the weight up to your shoulders and back down in a slow, controlled motion. Do not lock or 100% straighten your arms during this exercise – this will make your muscles work through the entire exercise. Hammer Curl – Start in the same position as the regular bicep curl but with your hands at your sides (thumbs facing forward). 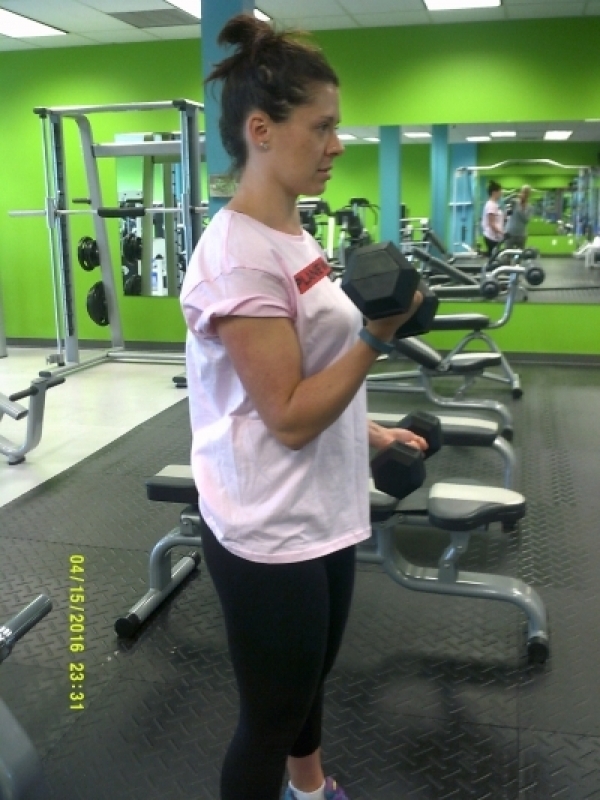 Curl the dumbbells up to your shoulder like you are holding a suitcase. 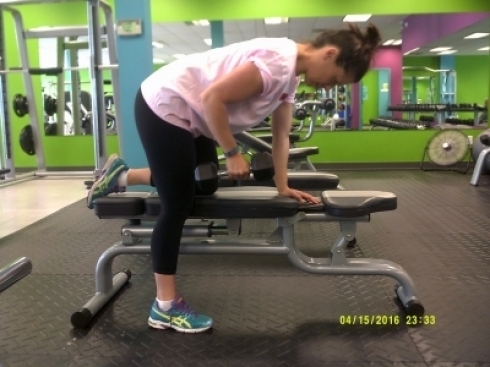 Tricep Kickback – Place one hand (with shoulder and elbow in line) on a bench. Place the knee on the same side on the bench. Grip weight in the opposite hand and raise your arm so your shoulder and elbow are parallel to your torse. Elbow to wrist and weight should be 90 degrees. Only bend your elbow to bring the weight to your hips. Doing cardio such as running, rowing or the elliptical will also help to tone and tighten those arms. Be careful to make sure you have proper form when doing these arm exercises and that you are not locking/hyper-extending your elbows to avoid injury. When doing these exercises, aim for 3 sets of 10-12 reps with a comfortable weight.